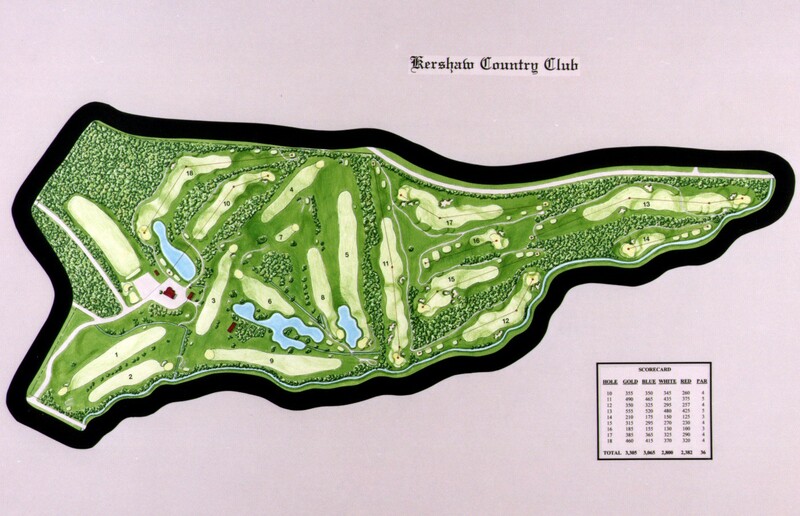 Kershaw Country Club opened as a nine hole course in 1938. In 2003 I had the wonderful task of designing a second nine on adjacent property. The site for the holes was ideal for golf: a fantastic mix of forested land, open meadows and a beautiful, tumbling creek. Taking advantage of the natural terrain and varied landscape, the new nine is extremely scenic. 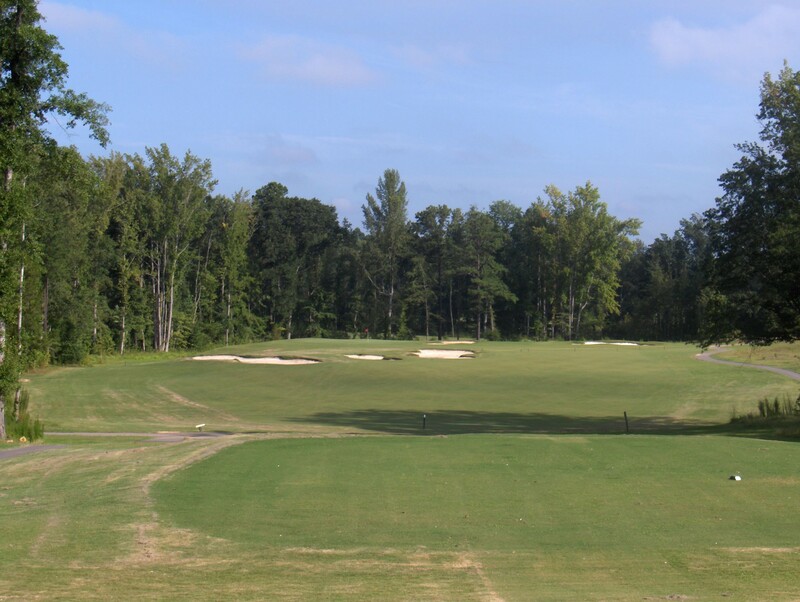 Highlights of the new nine include the 270 yard, drivable par four 15th that offers several options off the tee and the 420 yard, downhill, par four 18th, where a par in hard-earned. A solid start to the back nine, the slightly uphill, par four 10th Hole is framed nicely by trees. Like most at Kershaw, the tenth green is relatively small, open in front for run-up shots and has moderate slopes. 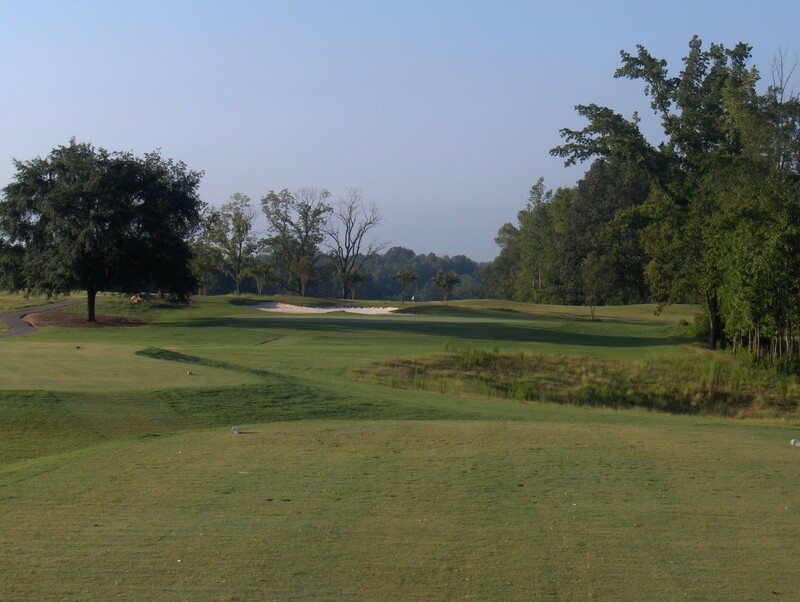 The short, par four 15th hole is the favorite of many players at Kershaw Golf Club. It was designed to offer multiple options off the tee. 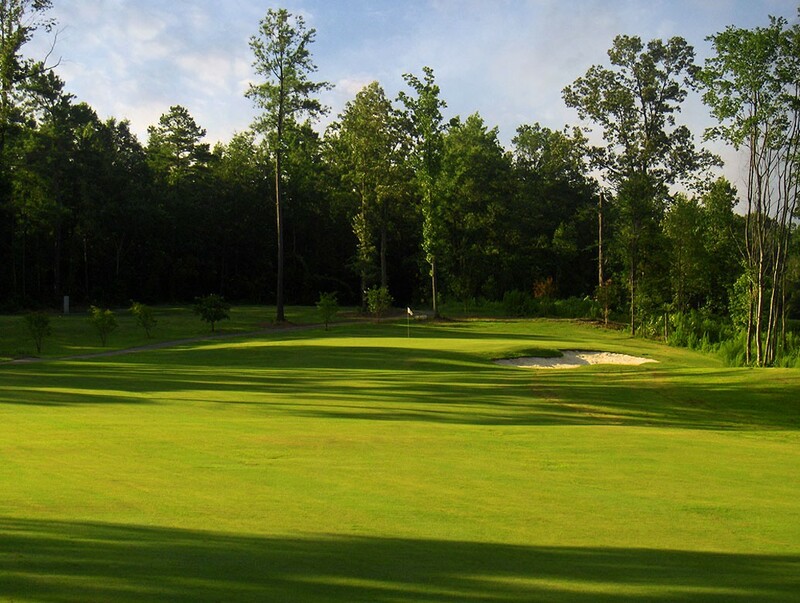 Players can try to drive the narrow green by carrying the cross bunkers 60 yards short of the green, but must avoid a steep fall-off on the left. For those not wanting to take on the bunkers, there is ample room to lay-up short, leaving a blind approach, or play right of the cross bunkers, leaving a testy, short approach to a green that slopes away. The par three 16th showcases a very natural setting as very little soil was moved to build the hole. Distance control is the key for success on this shallow, slightly elevated green.